Plus 94 is one of South Africa’s leading market research companies. It is a company recognised for its progressive thinking and leadership. Its core values are that it is Dynamic, Authentic and Intellectual. It was established in 1998 by Sifiso Falala the CEO and his partner Tirhani Mabunda. A key pillar to its foundation was the vision to challenge existing benchmarks and set new knowledge frontiers for the research industry. The company’s incremental growth in both its capabilities and resources is a result of its commitment to world class practices in the delivery of quality market research solutions to clients. Our commercial performance, social relevance and progressive thinking have earned us a reputable position in the South African business sector. Our mission is simply to establish a research business that can meet or exceed client expectations through leadership and innovation. We seek to go further, faster, and thus set a new benchmark in market research data reliability and versatility. Our vision is to remain uncompromising in our approach to the verification and validation of all our methods and processes. Our quest for quality is demonstrated by the deployment of the best available human and technical resources needed to resolve research problems. The CEO of Plus 94 Research is a renowned researcher with an Msc in Demography. He has more than 20 years experience in the marketing and research field. He is a member of a number of business and industry associations, and has held the Chairman’s position in SAMRA (Southern African Marketing Research Association). Falala is the secretary general of RITAG (Research Industry Transformation Action Group). He is a member of ESOMAR (European Society for Market Research). Falala is well known for the contributions he has made in the research industry and in business, as well as for the many thought provoking articles published under his name. Having trained and mentored a number of celebrated research professionals, he continues to make a meaningful contribution to his immediate community and the market research industry at large. Tirhani has had an illustrative career as an administrator, educator and entrepreneur. Tirhani started his career as a clerk in the civil service in 1981, branched to teaching in 1988 and became Registrar of the Giyani College of Education between July 1990 and December 1993. Tirhani started his business career on a part-time basis when he ventured into the taxi business in 1988. Tirhani launched his formal business career within the retail sector in 1993, owning two Nandos franchises. During 1996 and the early part of 1997, Tirhani did part-time consulting for Statomet; a research division of the University of Pretoria. This development launched Tirhani’s consulting career. 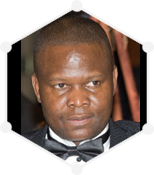 He moved to Johannesburg and joined Africa Now Consulting as MD in 1997. Shortly thereafter, Tirhani co-founded Plus 94 Research in 1998, a company he still serves as a board member and shareholder. Tirhani holds a Diploma in Public Admin from the University of the North (1984), BA from the University of the North (1987), Higher Ed. Diploma from Unisa (1989), Honours in Business Administration from the University of Stellenbosch (1993), Certificate in auctioneering from South African Auctioneering College (2003), Accredited Auctioneer Real Estate from the National Auctioneers Association, US (2008), Benefit Auction Specialist from the National Auctioneers Association, US (2008), Certificate in auctioneering from Reppert School of Auctioneering, US (2009) and Chartered Institute Auctioneer (CAI) from the University of Indiana, US (2010). A Director at Plus 94 Research, Associate Professor and Acting Head of the Department of Media Studies at University of Limpopo, she holds a PhD in Linguistics (University of Illinois, USA) and other qualifications in Telecommunications, Information Policy, Language Development and Leadership and Management Training. 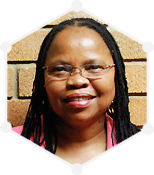 Prof. Mmusi has held a number of strategic positions within different organisations since the start of her career in the mid 70’s and greatly contributes to media studies at different learning institutions. She has also presented more than 26 papers at different conferences, both nationally and internationally, and continues to be invited to share her intellectual knowledge at different forums. 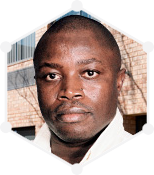 Prof. Mmusi is an integral part of the engine room that drives the vision of Plus 94 Research. The Technical Director and a qualified IT specialist at Plus 94 Research, runs the DP department with ease and flair. His career in market research began in 1995 with one of the research houses as DP Manager. 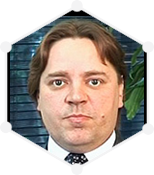 Prior to joining Plus 94 Research, Rafal ran a consulting company that provided staff training on data quality, processing and management to several research houses. He became part of the team at Plus 94 Research in 2000, strengthening the already operational DP department and launching a fully operational CATI department. He is a full member of SAMRA and a former council member in charge of the Internet Portfolio. Plus 94 Research is 97% black owned with competitive empowerment policies. We believe in empowerment that is genuine and transparent. As a result we have employees who have progressed to board and partnership levels. The company prides itself in being an accurate mirror image of the population which it serves and considers this to be part of its broad social responsibility and patriotic duty. Due to South Africa’s unique history, we believe that private business must voluntarily play an active and aggressive role in transforming the country and its economy. The pleasure of dealing with Plus 94 Research does not only stem from the fact that innovativeness is a company tradition, but also from the knowledge that the company is not bound by tradition itself. The value of our work is acknowledged only when the client is able to make effective decisions with greater levels of certainty.We offer customised quantitative and qualitative research studies, that are innovative without compromising the quality of work, and provide strategic insight that is relevant to business.At Plus 94 we believe in partnership and therefore commit ourselves to understanding our clients’ business needs in order to provide strategic solutions that are relevant, accurate and meaningful. Our diverse and talented teams have the expertise required to handle complex projects. Our goal is to ensure that clients find the experience of running a research project to be a pleasurable one. Each project has a dedicated research team with members that bring in technical insights and expertise. Our researchers are guided by scientific principles in designing and delivering surveys. They are also members of SAMRA (Southern African Marketing Research Association). Business orientation underlies the culture within Plus 94 Research. Our company is held in high regard by both clients and competitors alike, resulting from the quality of services it renders and the personal and professional integrity of its staff. Plus 94 Research upholds the idealism of progressive learning, development as well as empowerment. We have excellent training programmes and SETA accredited learnership initiatives offered to our employees. The aim of our training programmes is to ensure that all levels of our staff are selected from people that have obtained or are in the process of obtaining recognisable certification. Continuous improvement is at the heart of our training philosophy. Annually the company rewards outstanding performers through awards and other forms of recognition. We believe firmly in the principle of employee differentiation on the basis of performance. All employees’ performances are measured against pre-agreed targets. We encourage and nurture talent, providing excellent opportunities for growth and development. Eligible candidates are promoted to advanced levels based on excellent performance regardless of gender, age, race, ethnicity or duration of employment. An open door policy ensures that management is available for guidance and assistance. Plus 94 is one of South Africa’s leading market research companies. It is a company recognised for its progressive thinking and leadership. Its core values are that it is Dynamic, Authentic and Intellectual. It was established in 1998 by Sifiso Falala the CEO and his partner Tirhani Mabunda.